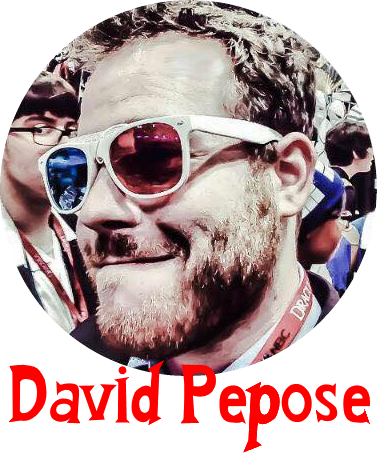 David Pepose and I worked at Newsarama together several years ago. 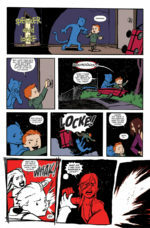 Now he has his first comic, “Spencer & Locke”, coming out in previews next week and I couldn’t be more excited for him. 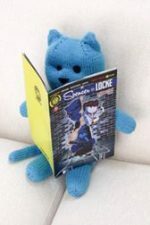 David was nice enough to stop by First Comics News to let our readers know about the world of Spencer & Locke. 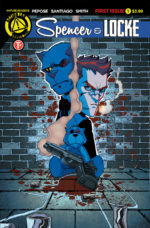 First Comics News: In Spencer & Locke you have “What if Calvin & Hobbes grew up in Sin City”. How do those two realities work together? 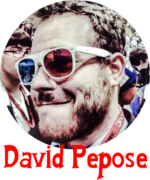 David Pepose: They work surprisingly well together, actually! 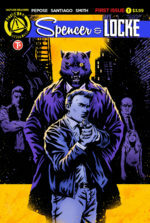 SPENCER & LOCKE started off as a thought exercise, what if we aged up a childhood classic and played it to its logical extremes — sure, it’s a story about a boy and his imaginary talking stuffed animal, but it also happens that they’re hard-boiled detectives investigating a brutal murder. But as we played with the iconography, the more the two worlds fit together — the thing about the original Calvin and Hobbes is that it always had this subversive streak to it, given Calvin’s sometimes misanthropic attitudes towards life. And as a longtime Frank Miller fan, using noir as a genre allows Locke and Spencer to wax philosophic while they’re out busting heads and cleaning up the streets. So with this book, all of Calvin and Hobbes’ humor, insightfulness and energy gets to carry over into this moody and action-packed noir world. 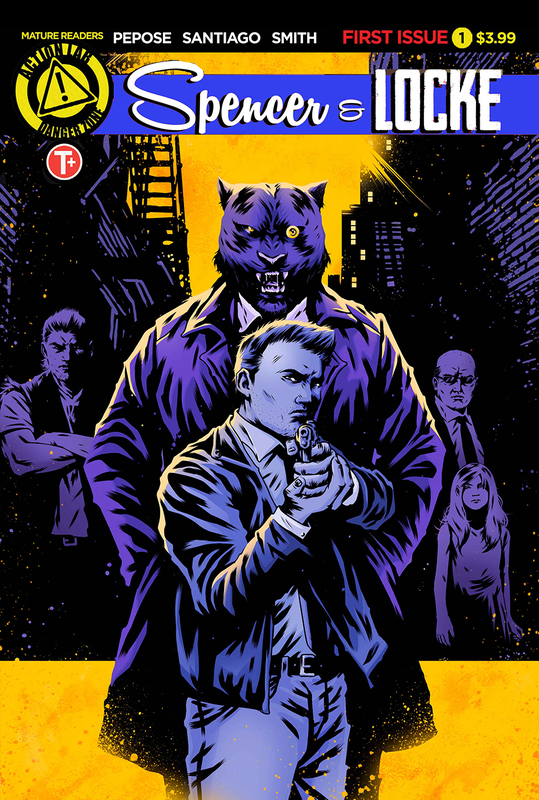 SPENCER & LOCKE — it’s the chocolate and peanut butter of your favorite comics! 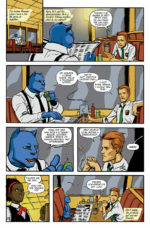 1st: After a conversation between Spencer & Locke in a cafe, the waitress asks “who are you talking to?” and that’s funny. 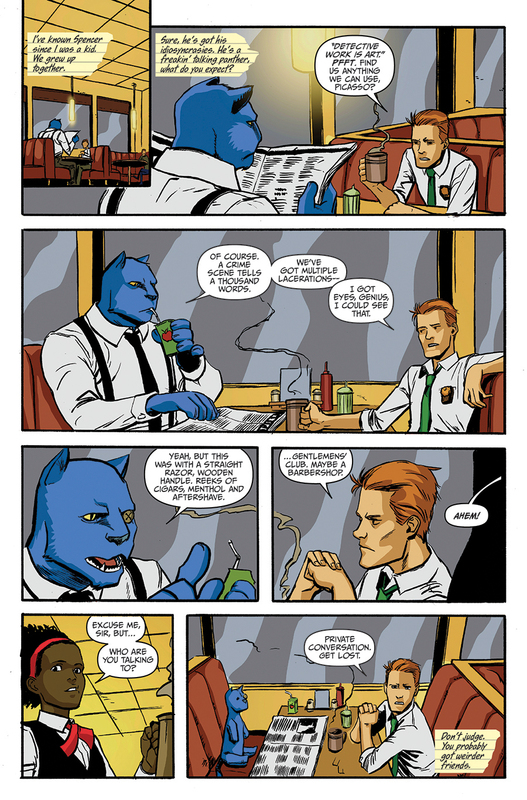 But what happens in the Squad Room when Spencer & Locke have a conversation in front of other cops? David: It probably starts with a sarcastic comment, and ends with somebody in the hospital. 1st: In Calvin & Hobbes, it’s cute that Calvin thinks Hobbes is real because he is a kid with an imaginary friend. An adult cop with an imaginary partner is crazy. How does Locke pass a psych eval? David: Well, it’s definitely not based on his charm, I’ll say! While we don’t get into the nitty-gritty of police department politics in this particular story, I like to think that Locke gets enough results that the brass allows him his idiosyncrasies. It also doesn’t hurt that Locke’s not just the best detective on the force, but easily the most vicious and short-tempered. I wouldn’t want to be the guy who tells Locke he can’t serve and protect! 1st: I can’t help but think of the Jimmy Stewart movie Harvey. Was this an inspiration? David: Indirectly so — I started working on SPENCER & LOCKE before I saw Harvey, but when I finally watched the movie, it definitely made me feel like we were on the right track in terms of our heroes’ dynamic as partners and friends. 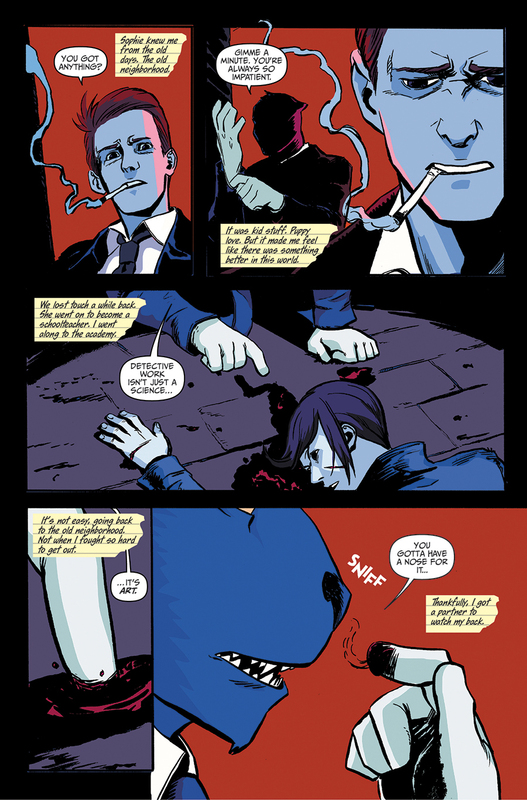 But if we’re talking movie inspirations, I’d say Memento was a big influence, just in terms of having a hero with his own psychological issues, but in terms of imaginary friends, Fight Club is likely the closest comparison when it comes to explaining how Spencer and Locke can coexist in the same space. 1st: What childhood trauma keeps Locke from moving past his imaginary friend? David: You’ll have to read to find out! One of the real selling points for SPENCER & LOCKE isn’t just the police drama in the present, but also seeing scenes from Locke’s childhood firsthand. 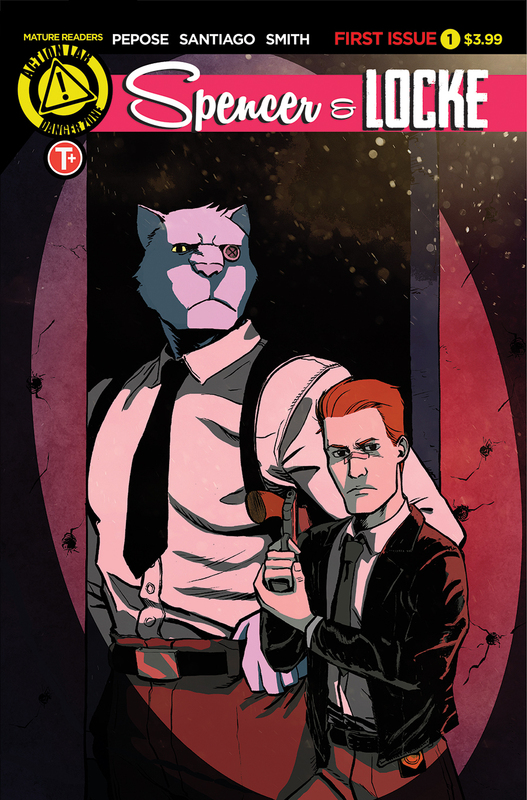 Without giving too much away, we’re going to be testing Spencer and Locke physically, mentally, and emotionally, and it not only ties to the past, but will also help explain why their strange friendship persists into the present. I can’t say why Locke needs Spencer, but I will leave you with this hint: We’re all the products of our scars. 1st: What does Spencer do for Locke? 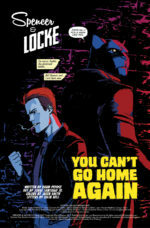 David: Spencer is Locke’s best friend and partner — and he also happens to be a six-foot-tall talking panther, as well. But Spencer is the yin to Locke’s yang, the good cop to Locke’s very, very bad cop. He’s not just Locke’s confidant, but he’s Locke’s intuition as a detective, the keen animal instinct that keeps Locke one step ahead of the bad guys, the eyes in the back of Locke’s head. But Spencer also represents Locke’s empathy, his sense of humor, and his desire to protect the defenseless. And as we’ll see in this book, yes, Spencer wouldn’t exist without Locke, but it’s even more true that without Spencer, Locke might not exist either. 1st: Who is Sophie Jenkins? David: Hero is Sophie’s daughter — and as the child of a schoolteacher, it’s perhaps not surprising she’s been saddled with a literary name like that. 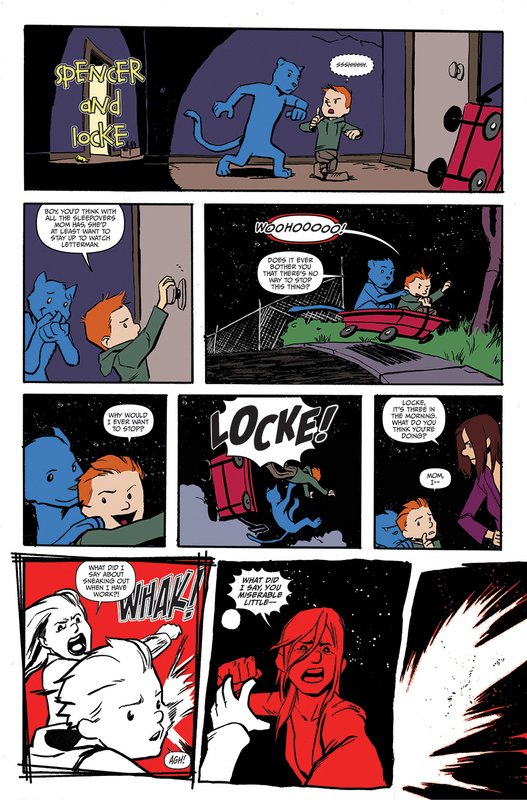 She’s a precocious and adorable kid, and that’s what I thought was important to have in a story like SPENCER & LOCKE — this is a story about children and adults, and the cycles that take place as one transitions into the other. We’ll get to see how Locke’s innocence was worn away by violence and pain — and by having Hero in the mix, it increases the stakes, because Spencer and Locke will do anything to keep the past from repeating itself. 1st: Why can Hero see Spencer as a real cop? David: Can she, though? 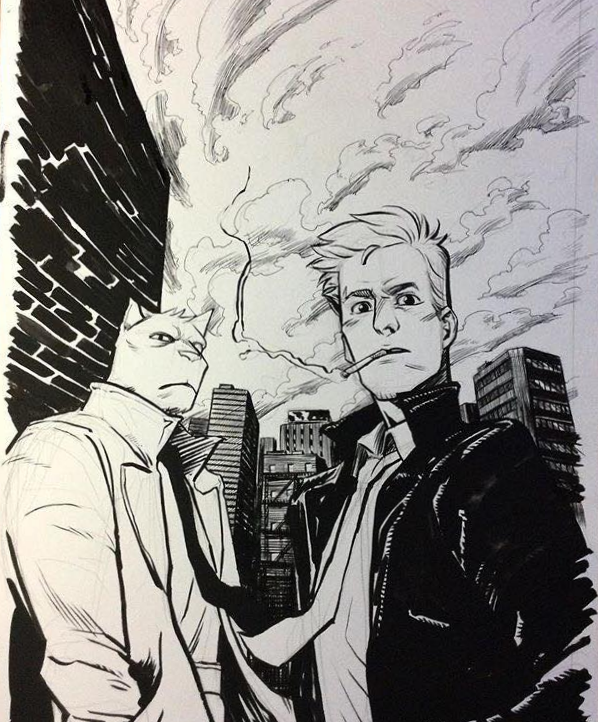 I’d view a lot of SPENCER & LOCKE as through the viewpoint of an unreliable narrator — so just because we see Spencer, doesn’t mean the characters around him necessarily can. David: The past. The future. Maybe the end. He’s Locke’s worst nightmare, and he’s the mirror image of what our troubled hero might become if he doesn’t keep his demons at bay. 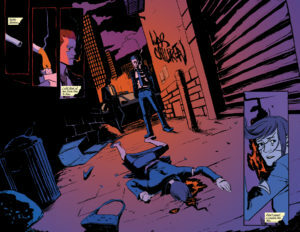 Augustus has a fearsome crime syndicate at his beck and call, and it’s not going to take much for him to cross paths with Spencer and Locke once they start sniffing around the neighborhood. Let’s just say Augustus has a creative streak a mile wide when it comes to killing people, which is going to put our heroes into some very precarious predicaments. 1st: How did Jorge Santiago Jr. get involved in Spencer & Locke? 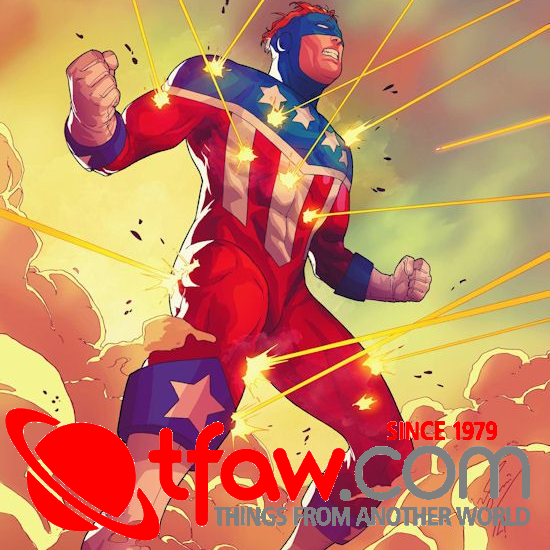 David: You can blame Justin Jordan and Tradd Moore for this — Justin is prolific discussing the ins and outs of the comics industry, and as a big process junkie, I’m always interested to hear his take on things. In particular, I remember Justin discussing how he and Tradd connected to do The Strange Talent of Luther Strode, and that keyed me into the fact that Tradd was a graduate of the Savannah College of Art and Design. 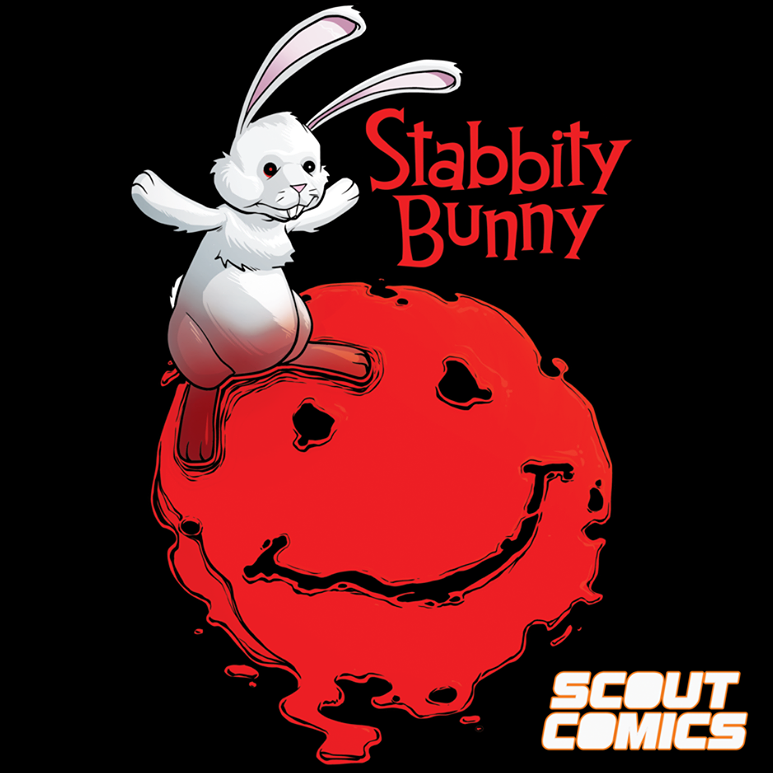 Given that SCAD has produced a number of other comics greats, like Tradd, Andrew Robinson, Sean Murphy and Nick Dragotta, I did some research into some of their more recent sequential art graduates, and started looking through people’s portfolios. When I saw Jorge’s, though, I read that he made comics and art with “stupid amounts of passion” — and as someone with two eyes, I can say with stupid amounts of talent, as well. I knew pretty much instantly that Jorge was the guy I wanted to work with, and thankfully he agreed to do it! 1st: Jorge does an amazing job of switching back and forth between a Calvin & Hobbes style and a traditional comic book style. David: Jorge’s fantastic, isn’t he? One of the things that I’ve been so impressed with over the course of working with Jorge has been how versatile he is — and that only ramps up with every issue. 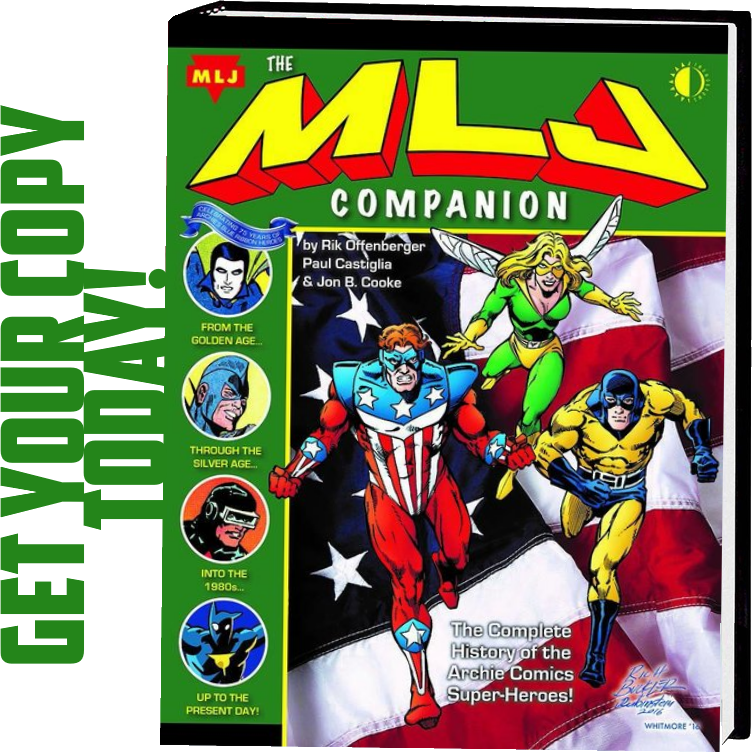 Without giving too much away, we wanted to make sure that each issue has its own visual identity, and Jorge, colorist Jasen Smith and letterer Colin Bell have pulled out all the stops to switch things up with each new chapter. But through it all, Jorge was our bedrock for this series — he’s got this wonderful energy and expressiveness to him, but even more importantly, he is tremendously thoughtful and deliberate with every page, which really pushed me to bring my A-game as well. Reading all four issues, I can say confidently that Jorge never failed to rise to the challenge with anything I could throw at him — and readers will see that I have thrown a lot at him. 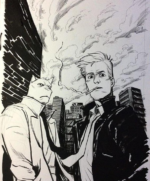 1st: What made Action Lab the right home for Spencer & Locke? David: Action Lab has been such a great publisher for SPENCER & LOCKE — they’re been incredibly supportive since the moment we first sent them our pitch, and have given us tremendous creative freedom for us to tell our story the way we needed to tell it. 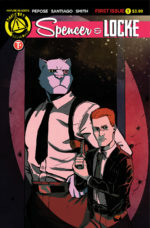 And I think with books like Amerikarate, Cougar and Cub, Infinite 7 and Tomboy, SPENCER & LOCKE is standing alongside some really striking voices amongst Action Lab’s Danger Zone lineup. 1st: What makes Spencer & Locke so cool no true comic fan should miss the first issue? David: Gunfights. Jungle cats. Car chases. Aliens. Chainsaws. Dinosaurs. 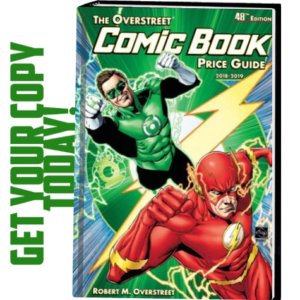 We wanted to include everything to make SPENCER & LOCKE the coolest book on the stands, and over the course of four issues, I think we packed in a greatest hits of everything I love about comics. 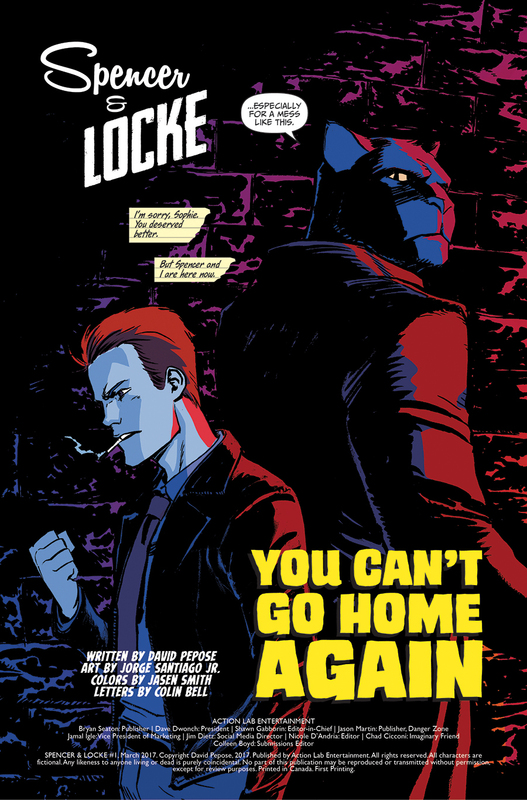 But while this is an exciting and action-packed series, I think there’s a deeper, more human story going on underneath the surface — SPENCER & LOCKE is a story about mental illness, about depression, about the lengths the mind will go to protect itself. This story is all about facing one’s scars, and whether or not we can overcome them or be consumed by them. It may be a hard world out there — but as we show in SPENCER & LOCKE, you can get by with the help of your (imaginary) friends.